Imagine if it didn't involve surgery or a hearing aid. Or having to make a single visit to the doctor. Yes, I know it sounds unbelievable…but it's true. Best of all, this natural remedy can relieve the hearing problems you suffer with right now — and make a huge difference in how you hear for decades to come. It also means that you don't have to suffer the embarrassment of wearing a hearing aid…or become frustrated when listening to a conversation you can barely hear. Your inner ear contains over 15,000 tiny hair cells. Over time these sensory hair cells become damaged. This usually happens after decades of being exposed to loud noise. For example, a bulldozer that's just idling is loud enough to cause permanent hearing loss after only one work day. A subway train screeching into a station … a loud clap of thunder … and the blast of a lawn mower can damage hearing within just a few hours of exposure. Noise from a blow dryer, kitchen blender or air conditioning unit can cause substantial hearing loss, too. And those rock & roll bands you saw when you were a teen directly affect your hearing today. But that's not all. Ear infections, circulation problems, high blood pressure, medication and injuries can affect your hearing, too — and often without warning. Several exciting studies show that, in many cases, certain nutrients can not only repair hearing loss…but even reverse it! Until recently, the idea of treating hearing loss with nutrients was simply a pipe dream. Scientists didn't think it was possible. Most doctors don't think nutrition has anything to do with hearing loss. But many studies show just how important nutrition is to your ears — and how certain nutrients can actually relieve ear and hearing problems … and even improve your hearing as you age! Let me tell you about the first hearing-enhancer now. It is one of the best nutrients for improving hearing loss caused by exposure to loud noises… like years of working in a factory, or listening to blaring music. How well does it work? Just ask the U.S. Marines! Did you know that over 10% of military personnel suffer noise-induced hearing loss—despite using hearing protection? Hearing loss is an occupational hazard in the military—and it's hard to avoid. Submarines and aircraft carriers are filled with noise. Explosions and jet engines are so jarring, that wearing earplugs is not enough to protect against hearing problems. And when it comes to the military, these hearing problems can be deadly. Soldiers with hearing loss are twice as likely to miss a target and 25 percent more likely to be killed. For forces who rely on acute hearing to succeed in their missions, any degree of hearing loss could mean a career cut short - or forced retirement. However, an exciting new study uncovered something that could be the military's best weapon against noise-induced hearing problems! Recently, a group of government scientists conducted a 6-month study on the benefits of a natural remedy for hearing loss. And they tested it on the toughest group of all: 1,000 marines at Camp Pendleton who were undergoing rifle training. At the beginning of the study, the scientists gave 600 marines an amino acid called N-acetyl cysteine. The other 400 were given a placebo. The marines took hearing tests before and after the rifle training. The result? "70% Experienced Less Hearing Loss…"
That's right! The scientists were shocked to find that 70% of the marines taking N-acetyl cysteine had less hearing loss! The researchers also examined the sensory hair cells of those marines and found less hair damage and less ringing in the ears, too. So why does N-acetyl cysteine work so well for hearing loss? First, N-acetyl cysteine helps repair the ear damage caused by loud noises. Second, N-acetyl cysteine boosts the body's production of an important antioxidant called glutathione. Studies show that people with hearing problems tend to have low glutathione. And N-acetyl boosts glutathione levels. 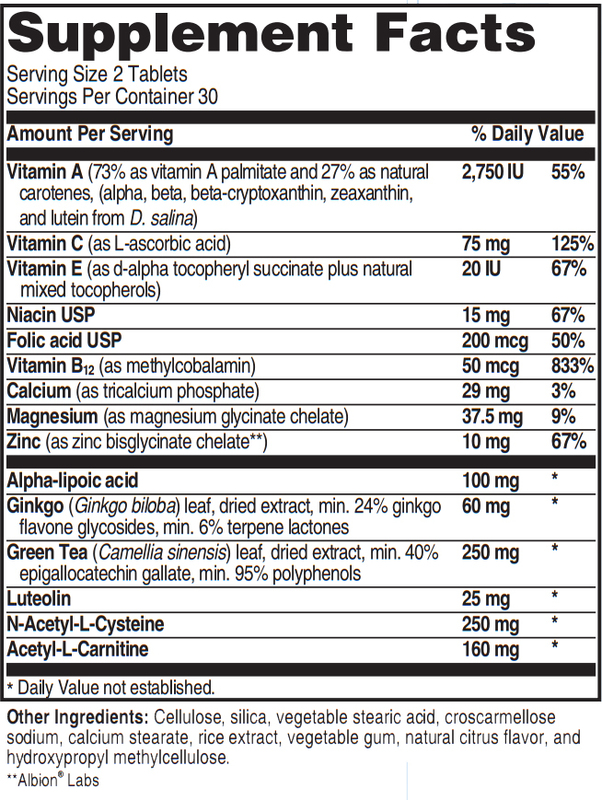 So you can see why N-acetyl cysteine is #1 on my list of nutrients for healthy hearing. If you're one of the millions who have been exposed to decades of loud noises, I recommend you start taking N-acetyl cysteine right now. It's a combination of two remarkable nutrients, Alpha Lipoic Acid and Acetyl-L-Carnitine. While other antioxidants work only in water (such as vitamin C) or in fatty tissues (like Vitamin E), Alpha lipoic acid is both fat and water soluble. So it can protect every muscle, organ and tissue in the body. What's more, it can easily penetrate the blood/brain barrier, so it targets free radical damage in your brain, ears, and nervous system. Alpha lipoic acid also has the ability to recycle other antioxidants back to their active states, so they can continue to neutralize free radicals in and around the ears. And like N-acetyl cysteine, it increases glutathione levels, too. Meanwhile, Acetyl-l-carnitine is an amino acid that increases energy production in the mitochondria, the "power plants" of your cells. Think of your mitochondria as the furnace that fires up cell energy. As you age, your body produces less and less Acetyl-l-carnitine— plus, its levels are further depleted by high-fat diets, certain medications and vitamin deficiencies. When mitochondria don't get the fuel they need, it's like a car running on empty. When this mitochondrial falloff affects your ears, hearing loss sets in. So why are Alpha lipoic acid and Acetyl-l-carnitine such a great combination for hearing range and frequency? In a placebo controlled study, scientists gave these two nutrients to aging rats for six weeks. The researchers divided the subjects into three groups. Group 1 received alpha lipoic acid. Group 2 received Acetyl-l-carnitine. Meanwhile, the control group, Group 3, didn't receive any supplements. At the end of the study period, the rats that didn't take any supplements saw a normal deterioration in their hearing. Scientists discovered that Alpha lipoic acid was more effective for protecting hearing at low frequencies, while the Acetyl-l-carnitine worked better for higher frequencies. Together, alpha lipoic acid and Acetyl-l-carnitine are a terrific team for improving the range, volume and sensitivity of your hearing. 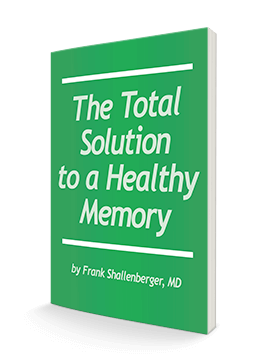 The next nutrient I'd like to tell you about is an herb that's popular for its memory-boosting benefits. But brand-new studies show it has great potential for hearing, too! Silence the ringing that's driving you crazy! Ringing or whistling in your ears is not only maddening — it also interferes with your day-to-day life. It affects your concentration, sleep, job performance, and even normal conversation. And one of the best ways to quiet the noise is with gingko biloba. Ginkgo is loaded with compounds called flavones and ginkgolides — antioxidants that help protect your inner ear hair cells and auditory canal. Ginkgo is also a natural vasodilator — which means that it helps open up the tiny blood vessels and capillaries in and around your ears. The result? Less ringing…and clear hearing! Meanwhile, ginkgo is also shown to significantly improve the recovery of patients with sudden hearing loss. Give your ears the blood, nutrients and oxygen they need, and it's only natural that your hearing improves, too. So if you are one of the millions who suffer with humming and buzzing in your ears— you can see why gingko should be the cornerstone of any ear-protection program! But your hearing problems aren't just due to all those loud noises you've put up with all these years. Another big hearing destroyer is free radical damage. Believe it or not, free radicals actually punch holes in the membranes and cells of the inner ear, affecting auditory function. And this incredible bioflavonoid can repair the damage. Does your hearing show these signs of "wear and tear"? Then it's time to take action! Aging, ear infections, circulation problems, excessive noise, and medication side effects can all affect your hearing without warning. 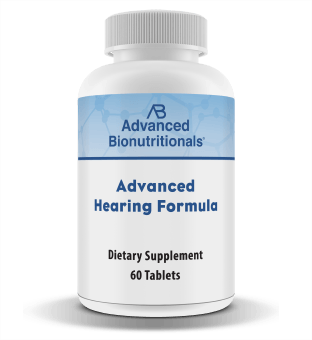 Advanced Hearing Formula contains 15 nutrients that help repair lost hearing, improve circulation to the auditory canal, improve nerve function, and more. Try Advanced Hearing Formula today… and start enjoying what you've been missing! Remember, you're completely protected by our "Down to the Last Tablet" Guarantee. Like ginkgo, luteolin is a powerful antioxidant. And like alpha lipoic acid, it's one of the few antioxidants able to cross the blood brain barrier. But luteolin is especially helpful for ear health because it can repair the free-radical damage that has harmed your auditory canal and hair cells. This remarkable nutrient improves mitochondrial function, too. Even more remarkable is that luteolin specifically protects the nerve cells in your ear from oxidative stress. So, it seems a "no-brainer" to me to consider this wonder nutrient to protect your hearing. Armed with all this clinical evidence about these hearing-enhancers, I contacted the research team at Advanced Bionutritionals. Together, we developed a remarkable, science-based formula designed to support and restore the health of your hearing on multiple levels. The result is Advanced Hearing Formula — and I call it the easiest, most effective remedy to protect and improve your hearing — today and for decades to come. Like any other organ, your ears need a steady flow of fuel, nutrients and energizers to support peak performance today, tomorrow and for a lifetime. Of course, Advanced Hearing Formula includes my top 5 recommended hearing boosters: N-acetyl cysteine, Alpha lipoic acid, Acetyl-l-carnitine, gingko and luteolin. And if it included just these 5 nutrients, it would be one of the best formulations on the market. But to give your ears the full range of nutritional power they need, we included 10 more hearing superstars! They work perfectly together to help restore hearing loss, repair nerve damage, boost ear and hearing health, and much more. One of the most tragic problems is hearing loss that occurs practically overnight, without warning. Doctors say this sudden hearing loss is caused by inflammation that affects the hair cells of the inner ear. Other research says it's caused by an autoimmune condition. But the true cause remains unknown. And conventional medicine doesn't have much to offer for treatment, except steroids. But an exciting new study shows that these two simple vitamins can offer significant help! Scientists conducted a placebo-controlled study involving 87 people with sudden hearing loss. Researchers gave the first group either a steroid or a vasodilating drug. The second group received the same steroid or drug, along with Vitamin E and Vitamin C.
The result? A whopping 63% patients treated with the drugs and vitamins saw a significant gain in their hearing, compared to only 44% in the control group. This is exciting news. Many people think their sudden hearing loss could be permanent. Meanwhile, taking these vitamins can make a huge difference. Next, if you suspect you already have hearing loss — or want to make sure you never do — then you need to know about these next hearing warriors. They are two overlooked "B" vitamins that work like gangbusters for improving hearing health. The second is Vitamin B12. Studies show that people with hearing problems also tend to have very low levels of this important energy vitamin. And B12 deficiency was associated with ringing of the ears and neural problems. Good for your eyes…and great for your ears, too. 1 It increases circulation to the tiny blood vessels and capillaries of the inner ear. When your ears receive the blood, oxygen and nutrition they need, your hearing improves. 2	It relieves ringing, buzzing and whistling in your ears. Ringing or whistling in your ears is not only maddening — it also affects your concentration, job performance, and normal conversation. Advanced Hearing Formula contains targeted nutrients that help you enjoy peace and quiet again. 3 It repairs the free radical damage in your inner ear and auditory nerves. Free radical overrun is a leading cause of hearing loss as you get older. 4 It improves both the range and volume of your hearing. Life is so much better when you can hear every whisper. 5 It eases inflammation and fluid build-up that causes vertigo, loss of balance and gradual hearing loss. Go here to order Advanced Hearing Formula today and remember… you're protected by our Down to the Last Tablet guarantee. If you're not convinced Advanced Hearing Formula helped you enjoy the fullness of sound again … or if you're not 100% satisfied for any reason, simply return it at any time for a full refund of your purchase price. No hassle, no questions asked! The next nutrient in Advanced Hearing Formula is a compound that you've no doubt heard of — vitamin A. You already know it's one of the best nutrients for protecting the retina cells in your eyes. But I consider it essential for good hearing, too. Here's why. Your inner ear not only contains high concentrations of vitamin A (like your retina does), but it also depends upon vitamin A to function properly (also like your retina). And several studies show that vitamin A therapy helped relieve ringing of the ears in up to 70% of subjects. Combine vitamin A with vitamins B12 and E, and it's even more effective. So you can see why no hearing formula would be complete without this crucial vitamin. Magnesium: There's a lot of research showing that this phenomenal all-around mineral supports the health of the inner ear, as well as reduces the risk of both permanent and noise-induced hearing loss. As many as 80% of Americans are magnesium-deficient. That puts a lot of people at risk for needless hearing loss, and I don't want you to be one of them! So we made sure to add it to Advanced Hearing Formula. Green tea: Green tea is a source of a powerful bioflavonoid called EGCG. Research says that green tea EGCG prevent inner ear hair cells from dying, while delivering broad protection for ear and hearing health. Calcium: Your middle ear consists of three small bones that conduct vibration from your eardrum to your cochlea. These bones can suffer from degeneration, just like the rest of your bones. Calcium can make these tiny, yet crucial ear bones stronger. Zinc: This often-overlooked mineral is a natural antioxidant and anti-inflammatory. One study showed that one-third of adults with age-related hearing loss saw their hearing improve with zinc supplementation. Niacin: If you have circulation problems, it stands to reason the blood flow to your ears might not be as robust as it needs to be. Niacin, also known as Vitamin B3, is a natural circulation booster. It's shown to help people with ringing in the ears because it increases blood flow throughout your body, including your ears. Other ingredients: Cellulose, silica, vegetable stearic acid, croscarmellose sodium, calcium stearate, rice extract, vegetable gum, natural citrus flavor, and vegetable cellulose. Wouldn't you love hearing everything clearly the first time? And stop putting family and friends through the exasperation of repeating things over and over for you? Of course you would. Thanks to Advanced Hearing Formula, you can. And that's why I urge you to give it a try. Studies show us that the best way to anchor your hearing for life is to make sure you're getting all the nutritional intervention you need. You can start right now with the 15 powerful hearing-savers in Advanced Hearing Formula. 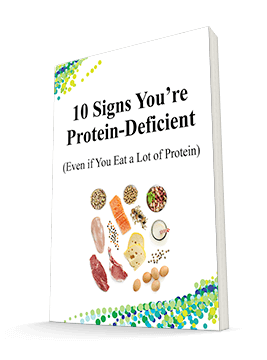 If you purchased all 15 of these nutrients separately — if you could even find them — you would spend $170 or more for just a one-month supply. And there's no guarantee you'd get in the right levels, combinations or standardized forms. I want to start improving my hearing with Advanced Hearing Formula today! Try a 3-month supply of Advanced Hearing Formula and pay just $26.65 a bottle. That's $79.95 total plus $6.95 shipping and handling—a $9.90 savings off the regular price. Yes - I want to save $9.90 with Advanced Hearing Formula! For the Biggest Savings and lowest price per bottle,try our Six-Month Pack! If you want the best deal plus the lowest price per bottle, then go with our Six-Month Pack. Order a six-month supply of Advanced Hearing Formula and you pay only $24.95 a bottle. Plus, you don't pay a penny in shipping! You pay only $149.70. That's a total savings of $30.00! That's right—as with every Advanced Bionutritionals product you're completely protected by our "down-to-the-last-pill" guarantee. If you don't agree that Advanced Hearing Formula has helped your hearing improve … or if you're not 100% satisfied with Advanced Hearing Formula at any time, simply send back the bottle to us within 90 days of your purchase. Even if it's completely empty. 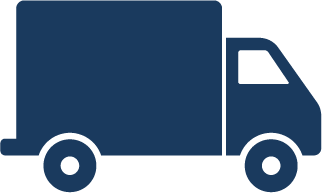 We'll refund every penny you paid - including shipping and handling. You only pay return shipping. No questions asked! I want to order Advanced Hearing Formula today! Or, just call us toll-free at 1-800-791-3395 to have Advanced Hearing Formula rushed right to your door. Our health consultants are available to help you 24 hours a day, seven days a week. Can Better Hearing Really Be This Easy? Yes it Can! Ready to start hearing all the sounds you hold dear again? Then go ahead and order your risk-free supply of Advanced Hearing Formula today. It's the easiest, safest, and most effective way to ensure a lifetime of crystal-clear hearing without hearing aids or implants. And it helps you say goodbye to the ringing, buzzing and whistling in your ears once and for all! PS: Remember, results may vary for you, but our Down-to-the-Last-Tablet Guarantee remains the same: You must see a dramatic difference with Advanced Hearing Formula or simply return the bottle—empty or not—within 90 days for a no-hassle refund. That's about as risk-free as it gets! So please call Advanced Bionutritionals at 1-800-791-3395 or order online immediately by going here now. And remember, you're fully protected by our 100% Down-to-the-Last-Tablet Guarantee! ACT NOW! Order Your Advanced Hearing Formula Today!